Nothing is better than being able to share music with the world. It's something that we take rather seriously at Going Back To The Acts of the Apostles Crusade, yet we do it in a creative and fun manner. Since beginning more than a decade ago, we've come to play a bigger role in the music community than just a place where people come for guitar lessons. Our studio has grown because we involve ourselves with local bands and with players from all over. The more people we meet and musicians we interact with the more we learn - which allows us to be better teachers and mentors. 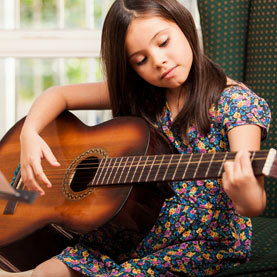 No matter how long we play guitar and how many students we help, we are always learning, too. That's the real beauty of playing music - it is a journey and not a destination, and one we really love being a part of. WE TEACH ALL INSTRUMENTS JUST GIVE US A CALL! WE HAVE SEVERAL LOCATIONS! We help kids!